Mother's Day is May 8th this year, and that will be here before you know it. So we compiled a pretty comprehensive list, for many budgets and styles. Whether it's for new or seasoned moms, we've got you covered. Your mother is one of the most important people in your life, and has done so much for you. Let's reciprocate the love. Husbands, this is another great opportunity to treat the mother of your children! LAFCO Duchess Peony - Sweet, clean, Duchess Peony! (Powder Room) by LAFCO. She's sweet and graceful like a duchess would be. I just wouldn't want to make her mad. Honestly, anything from our astounding LAFCO collection will do for mom. However, if you want to treat her like the nobility she is, Duchess Peony is the route to take! With 100 hours of clean burn time and opulent home fragrance she'll also have a reusable (and drinkable!) hand blown glass container, this is the gift that just keeps on giving. Margaritas anyone? Hopefully she'll invite you over for some! Also available in bar soap. Flowers - Endless options, and any budget. Plus, there's science behind fresh flowers. (The Mental Health Benefits of Flowers) They elevate the mood instantly and have a prolonged impact! Gourmet Coffee - Little Coyote Coffee is one of those things we just happened upon. And we're so thankful we did. I cannot get enough of this Caramel Creme! Roasted in small batches and to order, these bags of fresh roasted coffee are insanely smooth. I don't even need creamer, which is saying something. Plants - Similar to how flowers have a positive impact on mood and mental health, so do plants! Now is the time to plant! Get those gardens, pots, and patios summer ready! Spring Silks - Sprigs, swags, wreaths, and more! Select one of our in-house designed arrangements or place an order! Custom orders, and quality silks, she'll have a one of a kind piece that'll last for years. Fashion Accessories - Necklaces, bracelets, earrings, scarves, purses, etc. If she's a fashionista, we've got something she'll love to add to her collection. 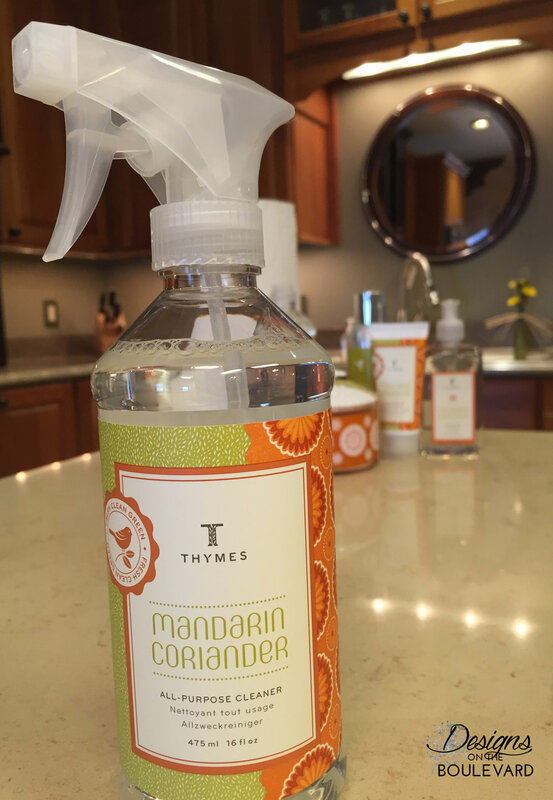 Thymes Mandarin Coriander Spring Cleaning Set - Better yet, clean for her with her new spring cleaning set! She'll feel spoiled and adored, just like a mother should be. I mean, she was changing your diapers and taking you to your piano lessons (she may have made you take them, but it comes from a good place!) so this is the least you could do in return. Available in: 3-Wick Candle with Bird Lid, Hand Wash, Hand Cream, Dishwashing Liquid, All-Purpose Cleaner, Home Fragrance Mist. Gourmet Tea - You need to be drinking tea. I don't care what kind. Green tea, herbal tea, black tea, blended tea, whatever you prefer! It's so incredibly good for you, and they keep finding more and more benefits to enjoy a cup of tea. We've got some of the best tea that has ever passed my lips, and I cannot get enough. Plus, we've got the right accessories to help you make the perfect cup! Decadent Truffles - Handmade and richer than a Kardashian, these truffles are D-LISH. Raspberry is always a popular choice, with a raspberry purree center, dipped in white chocolate, then milk chocolate, and drizzled with black chocolate. You can't go wrong. Available in current selections of Raspberry, Gimme S'more, Sweetie Pie, Over the Top, Macadamia, and Funfetti. Mosaic Frame - Where else is she going to put that picture of you from prom way back when? Swan Creek Roasted Espresso Candle - This is perfect for the mom who doesn't drink coffee but loves the scent of it. As far as I have seen, everyone loves the scent of coffee. And Swan Creek has captured it perfectly. With 100% American soy wax, you're going to get a clean burning candle that also supports American farmers. What's not to love? Available in 24 oz Jar, 12 oz Jar, and melts. Many other fragrances available. Thyme's Goldleaf Gardenia - "This smells pretty" a husband told his wife after he washed his hands with Goldleaf Gardenia hand wash. I was cracking up. Because it was a few words, but really...it smells pretty. That's the easiest and best way to describe it. Available in: Hand Wash, Hand Lotion, Hand Cream, Petite Eau de Parfum, Bar Soap, and Poured Candle. Apothecary Vials - For the Fixer Upper fan, just don't tell her the second season is on Netflix now, or she'll never leave the house. Available in an assortment of colors, shapes, and sizes. Pink shown. Home Decor - We like to go for the timeless look around here, with a flair for the drama. Don't get me wrong, we love trends. However, we have many different pieces that can accent, compliment, or completely change the look you're going for. With over 25 years of home decor experience, it's all fun and games until...no wait, it's still all fun and games. Our passion! We hope this was helpful in your search for the right thing for mom. Stop in or call, and we're always here to help! Plus, every time she sees or uses the gift, she'll think of you! Brownie points.